“For someone who has spent my entire career playing music in the marketplace, not in the church, this is quite an honor,” says Skaggs. “I've always loved the Gospel and I sing about it in many different ways. I've never seen myself as a Christian artist, just an artist who is a Christian. I'm very grateful for this award." At the tender age of three, Skaggs began by harmonizing with his mother as she sang Gospel songs. His illustrious path to stardom has always included Gospel music, as he loves to sing praise to the Lord. The GMA Foundation (GMAF) will induct Skaggs into the GMA Gospel Music Hall of Fame on Tuesday, August 14 at the Trinity Music City Auditorium in Hendersonville, TN. Skaggs joins fellow 2012 inductees Aretha Franklin, Dallas Holm, The Hoppers, Love Song and Rex Humbard. 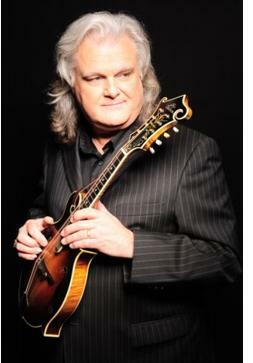 With 12 #1 hit singles, 14 GRAMMY® Awards, eight CMA Awards (including Entertainer of the Year), eight ACM Awards, two Dove Awards and nine ICM (Inspirational Country Music) Awards, Ricky Skaggs remains a true pioneer to the Country Music and Gospel / Christian music genres. Since he began playing music more than 50 years ago, Skaggs has released more than 30 albums and has performed thousands of live shows. Skaggs and his band, Kentucky Thunder, continue to keep the tour trail red hot, performing more than 80 live dates each year. Skaggs is set to release his latest studio album, Music To My Ears, in September of this year.